My horses claim about 10 of our 15 acres of land, which you’d think would be plenty for half a dozen horses. Our house, barns, arenas, offices, and a warehouse are squeezed into a corner of the property and the rest of the place is procured and manicured just for the horses. Winters are long and hard here in the Rocky Mountains and the grass only grows from April through August. The rest of the year it is decidedly brown. Keeping the grass green is a challenge in this climate and horses are sure hard on the land. Keeping the horses healthy while eating that green grass is also a challenge and a labor of love. Come springtime, managing the pasture for the health of the fields while transitioning our horse’s diet from hay to green grass, without stressing their digestive health, requires some serious planning, as well as detailed execution. Horses’ teeth and hooves are not. While we may turn our horses out in the fields late in the winter before any new growth starts, and let them browse the dead grass, at the first sign of green shoots, the horses are eighty-sixed from the pastures. For the next month at least, until we can see the first signs of seed heads on the short grasses, we keep the horses totally off the fields. This allows a good head of growth in the pastures and will establish the grass for the whole summer. Horses will paw and dig and gnaw for the first delectable shoots of green grass and they are incredibly damaging to young grass. Keeping them off the fields early on makes the grazing last longer at the other end of the summer. Once the grass is healthy and ready for grazing, our focus shifts to managing the change in the horses’ diets from dry hay (almost a year old by now) to fresh green grass. Between over-eating and the drastic change to the horses’ delicate digestive balance, it pays to be very, very careful. My horses have access to an all-you-can-eat grass hay buffet, open 24/7. That way their digestive tract is always full—the way nature intended. When I am ready to start turning them out to the pasture, I wait until late in the day, when their bellies are already full and when the sugar content is low in the green grass. Our horses are programmed to come in the barn at night, so we’ll turn them out an hour before their bedtime. That way they only eat a bit and then they’re ready to come in at the normal time. Over the next 3-4 weeks, we’ll turn them out a few minutes earlier each day, as they gradually shift from mostly hay to mostly green grass diets. In colder climates like ours, early morning grasses can be hazardous to horses with metabolic issues, so in the spring and early summer, we avoid letting the horses into the fields before mid-day. During this time of transition, we are watching the horses closely for over-eating—as some will do—especially when they have been deprived of the delicacy for so long. 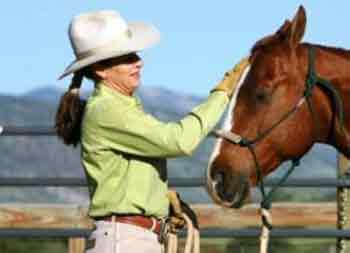 We also keep the horses on heavier than normal doses of Proviable, a pro- and pre-biotic. 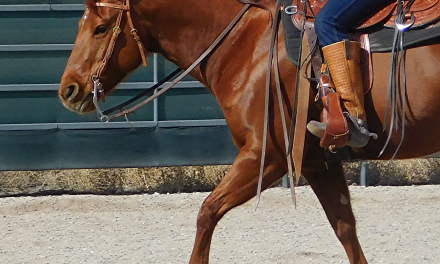 This helps stabilize their digestive tract and is especially important when horses are undergoing any kind of stress—whether it is a change of diet or a road trip or arduous training. Since our horses are all in training—worked or exercised on a daily basis—I don’t really have any concerns about obesity. I find my horses are so much healthier and content when they have 24/7 access to a low-protein grass hay. 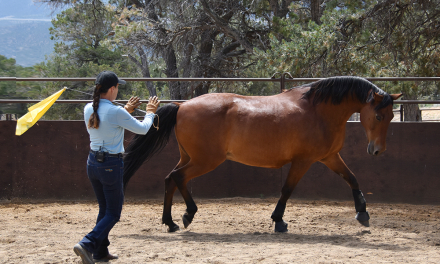 While some horses might put on a little extra weight in the beginning, once they realize the food will always be there they slow their eating way down and go back to a healthier weight. As they switch to more and more green grass the horses will definitely put on a few pounds, but they also get a sheen to their coats and are happier. In nature, horses put on weight in the summer when the foraging is better, then they lose weight over the winter when it’s slim picking. Their biology is designed this way and this cycle triggers other things like shedding and ovulation. I want my horses to lose weight over the winter and put it back on in the summer. Some horses have major health issues related to obesity because they put on more weight every summer but never lose it in the winter. Consequently, they get fatter and fatter every year. 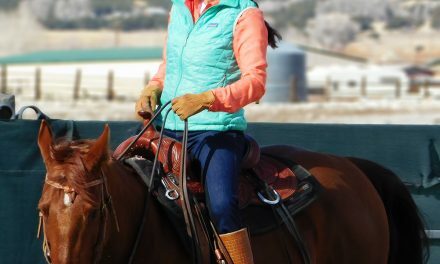 The easiest time to get the weight off a horse is in the winter. Our pastures require a fair amount of maintenance during the spring and summer. Early in the spring, before the grass starts growing, we drag/harrow the fields, to break up the manure clumps and pull out some of the thatch (and every five years or so the fields need to be burned off to get rid of the thick thatch). Since we spread the manure from the stalls and paddocks in the fields, the harrow helps break it up, providing a smooth layer of fertilizer to the grass. Recycling manure is great for the growth of the grass; adding a commercial fertilizer is even better, but much more costly. We start irrigating the pastures as soon as the snow melt starts and the ditches are running. We use flood irrigation—a manual process that involves damming the ditch and flooding the fields with water. We only have access to the water on certain days (since we share it with others), so our whole lives tend to revolve around irrigation days. Water is a big deal in the West; water rights are very valuable and never taken for granted. We have to work the water through the fields to make sure every nook and cranny is covered; the water is far too precious to waste even a gallon. We also mow our fields once or twice during the summer. Horses are very particular about the actual plants they eat, selecting the tender sweet grass and leaving the weeds and other kinds of grasses. By mowing (with the blades set as high as they go) we chop off the weeds before they seed and the grass gets stronger. When you mow grass before it seeds out, it grows even harder, trying to get to seed. Keeping our fields mowed improves the growth and quality of the grass while discouraging the weeds. Maintaining the pastures is a lot of work, but like most things in life, if it’s important to you it’s worth working for. Seeing the horses content in the field, basking in the sun and picking and sorting through the plants to find their little treasures more than makes up for the work we put into it. Seeing the shine and dapples in their coat that only green grass gives a horse pleases my eye and puts a smile on my face. There’s a reason why horse enthusiasts tend to be hard workers—it takes a lot of effort to keep horses happy and healthy! But the end result makes me forget about the extra work and gives me the satisfaction of doing the best I can do for both the horses and the land.